We are proud to announce the new ID station. This new model features the new OEM printer and a new tablet running the latest version of the Photomatic biometric software. ID Station + Canon 1300D + 600 FREE Prints! (Worth £3000 in revenue! )We are proud to announce the new ID station. 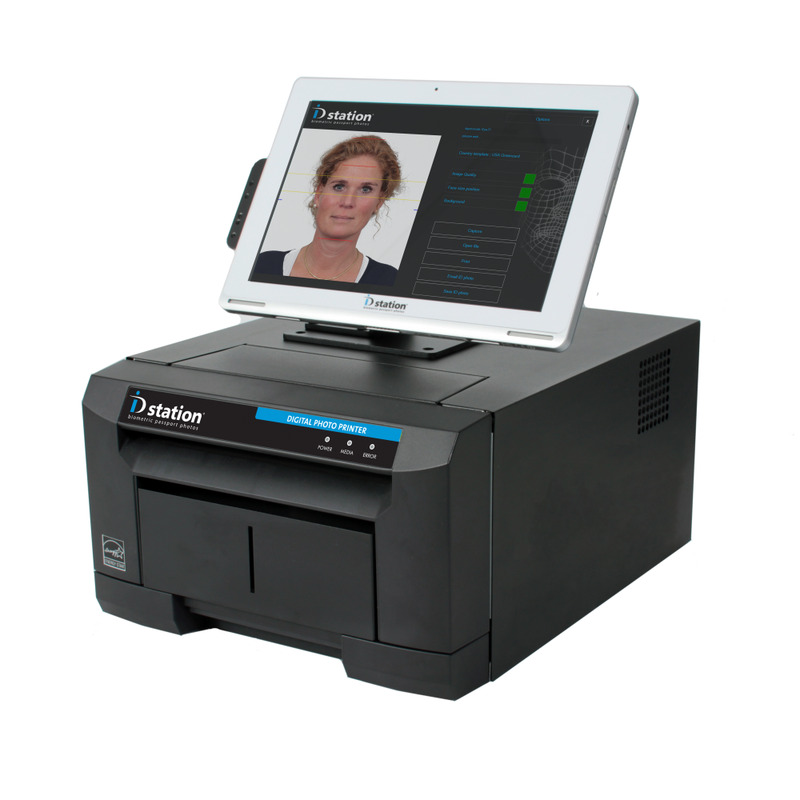 This new model features the new OEM printer and a new tablet running the latest version of the Photomatic biometric software. Of course the new ID station features all the great benefits from the first model, such as a touch screen interface, a plug&play Eye-Fi card, extra USB ports, full support including TeamViewer login and an extra card reader.ID station is a wireless passport photo system designed for retail. It will maximize your profits and it will minimize hassle and rejections. Most of all, ID station makes taking ID photos easy. No need to carefully position the camera when taking the pictures. Just point and shoot! The biometric software will automatically process the captured image into a perfectly aligned passport photo. For any country!